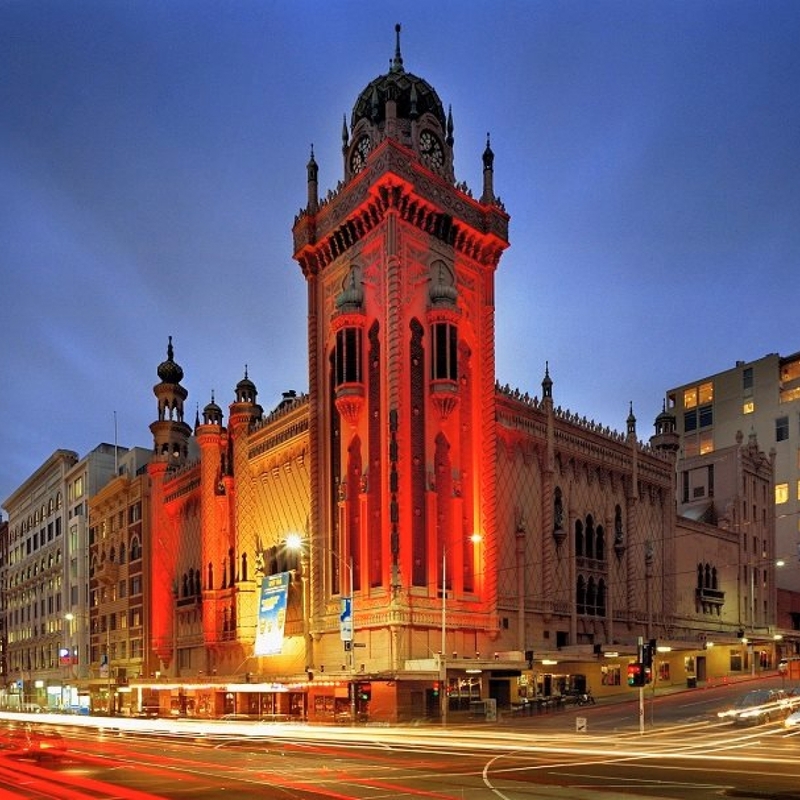 The Forum Theatre has a storied place in Melbourne’s history. It has been a fixture in the city since the late 1920s. Before it became the go-to spot for live music entertainment, it began its love affair with the public as The Forum Theatre, a cinema seating a staggering 3,371 people. Recent renovations by its parent company, the Marriner Group, have returned some parts of that early 20th century magic to The Forum. For example, the carpet was rolled up in the foyer exposing a stunning floor mosaic that hadn’t been seen by the public since 1937. Today, The Forum still plays a significant roll in Melbourne’s culture, hosting some of the city’s hottest live music shows. It's also the backdrop of some of the city’s most significant events like the Melbourne International Comedy Festival and Melbourne International Film Festival. The list of musicians and bands that have graced The Forum’s stage reads like a veritable pantheon of musical gods and goddesses. Everyone from legends like Madonna and Ozzy Osbourne to modern-day superstars like Katy Perry and Harry Styles have thrilled audiences here. The Forum has two venues: The Forum I and Forum II. Located downstairs, Forum I boast dazzling décor, Roman statues and a large stage. Above, Forum II, a smaller venue, is kitted out with a stage, stadium-style seating and a massive screen. While The Forum doesn’t have a set bar menu and the food is catered for private events, any visitor to the venue will be spoilt for choice as its surrounded by a plethora of trendy bars and restaurants. The forum is also only a five-minute walk from the heart of the CBD, Federation Square. If you want to broaden your cultural experience it’s also a nine-minute walk or nine-minute taxi ride to Melbourne’s China Town. For upcoming events and concerts at The Forum, check out forummelbourne.com.au. If travelling by train, The Forum is a 5-minute walk from 12 Federation Square, a 7-minute stroll from 1-Flinders Street Station and 17 minutes from Melbourne’s Central Station.